We couldn’t think of a better way to close the year than to make history with ‘ōlelo Hawai‘i, the mother tongue of the Hawaiian Islands. 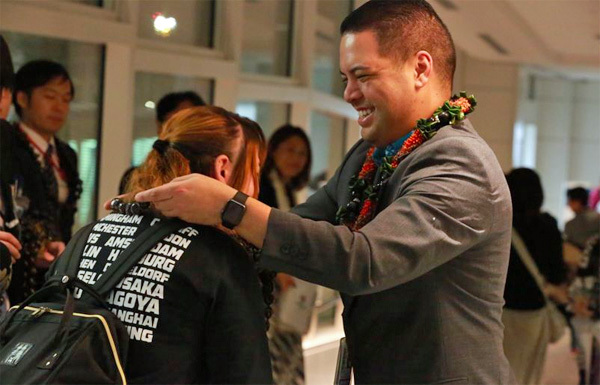 On Dec. 21, in conjunction with the second anniversary of our service between Haneda Airport (HND) and Kona International Airport (KOA), our flight and guest services crew hosted the first international Hawaiian language flight. 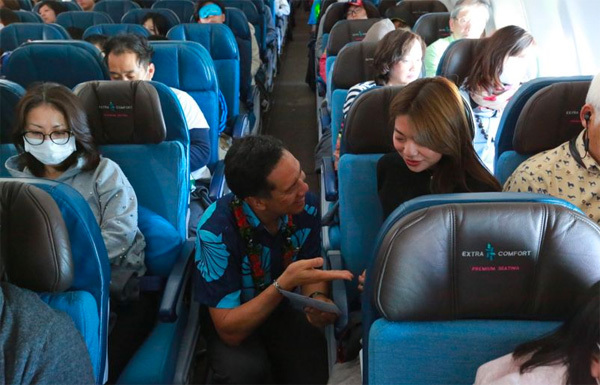 All guests on flight HA852 from HND to KOA became a part of Hawaiian Airlines’ history and experienced ‘ōlelo Hawai‘i from six flight attendants fluent in the Hawaiian language. The special anniversary flight came as part of our airlines’ dedication to incorporating the once almost-extinct language into our workplace. 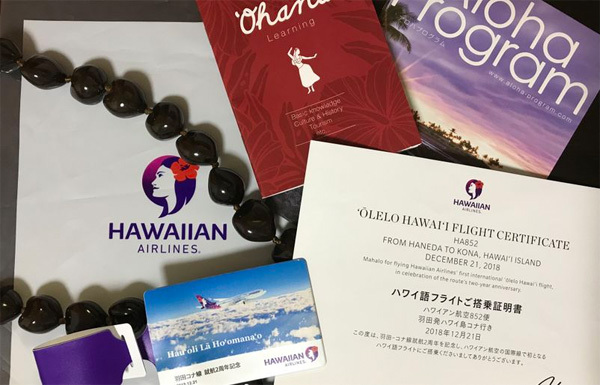 Prior to take-off, we welcomed guests with an oli (Hawaiian chant) at the gate, an essential part of celebrating a milestone in Hawaiian culture, while Japan Country Director Takaya Shishido offered special remarks on the anniversary flight. Our crew conducted all boarding and in-flight announcements in ‘ōlelo Hawai‘i, followed by Japanese and English translations. Each guest was greeted with kukui nut lei before departing HND and fresh flower lei upon deplaning at KOA. 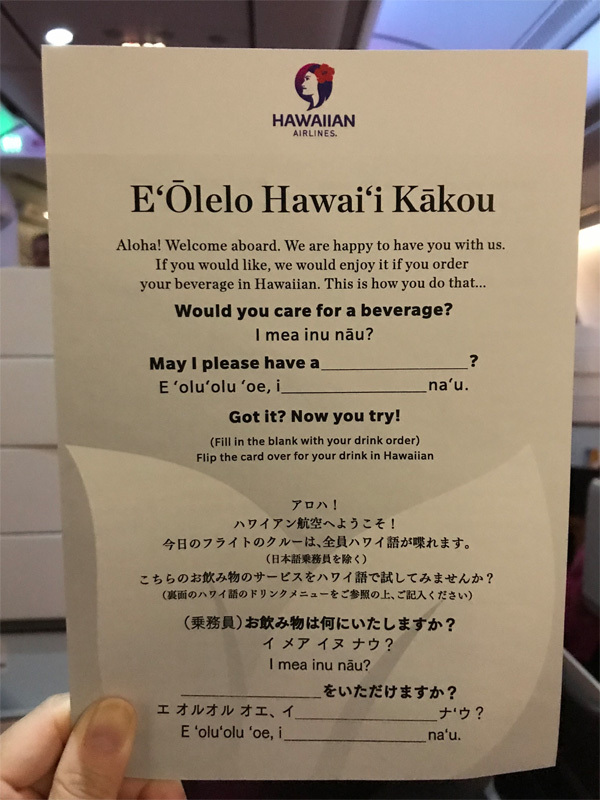 They also received a travel-size language book, a “how-to” guide for ordering drinks in Hawaiian, and a commemorative certificate of participation. 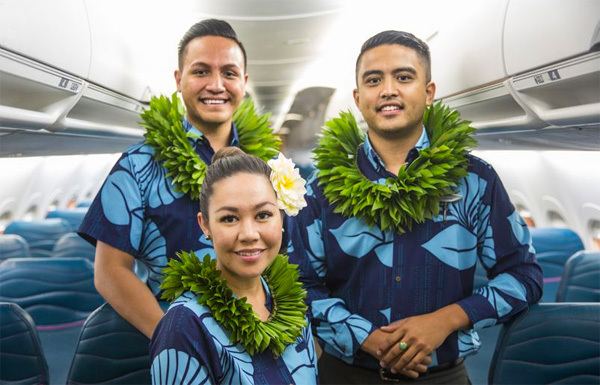 Flight HA852 was the seventh and final ‘ōlelo Hawai‘i flight of 2018 that our in-flight team has successfully organized. 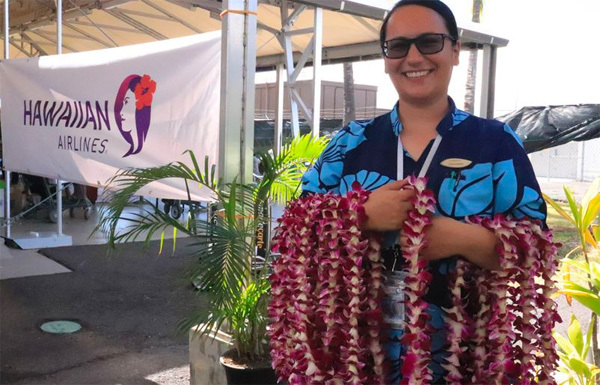 In April 2018, three of our flight attendants took guests flying between Hilo and Honolulu by surprise when they conducted their in-flight announcements entirely in ‘ōlelo Hawai‘i during the Merrie Monarch Festival. 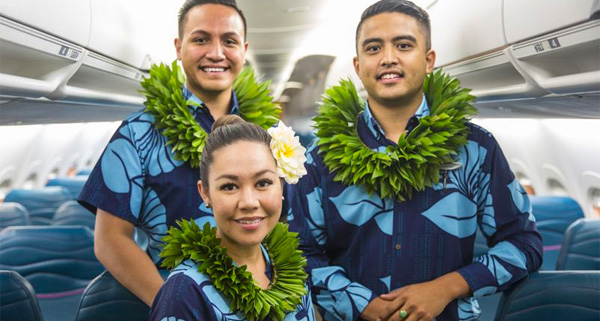 That same month, our in-flight ‘ohana shared Hawaiian culture with guests traveling between HNL and McCarran International Airport in Las Vegas, making history once again with the first native language flight between Hawai‘i and the U.S. Mainland.